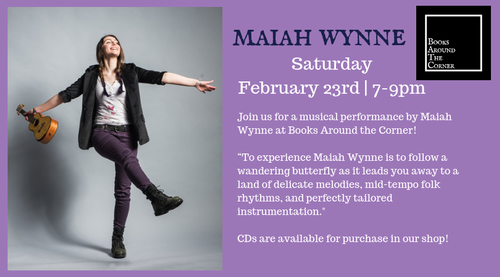 Join us for a musical performance by Maiah Wynne at Books Around the Corner! “To experience Maiah Wynne is to follow a wandering butterfly as it leads you away to a land of delicate melodies, mid-tempo folk rhythms, and perfectly tailored instrumentation." CDs are available for purchase in our shop!